Fill a Purse for a Sister with Gravity Salon! It’s been less than a month since Gravity Salon Professionals committed to being a drop-off location for the Fill a Purse for a Sister campaign, and the feedback so far from our clients and the community has been incredible! We have received so many purses and backpacks already, and encourage people to continue to drop them off at our salon until December 1st, when the campaign comes to an end! The Fill a Purse for a Sister and the Fill a Backpack for a Youth campaigns were founded by social worker and activist, Angel Freedman. The purpose behind Fill a Purse for a Sister and Fill a Backpack for a Youth is to ensure that women and youth who are in need in communities across the GTA have access to essentials and little luxuries that every person deserves to have in their life. Statistics show that women are more likely to live in poverty than men, that they are more likely to be placed in precarious job positions than men, that 80% of lone-parent families are led by single mothers (the average yearly income for lone-parent family headed by a female is $21,200, which is HALF of the yearly earnings of male lone-parent family), and that women who live in poverty are more at-risk of staying in an abusive relationship out of fear that they won’t be able to support their family. * The reality of these statistics as well is that when women are living in poverty, their children are often living in poverty as well. Now after reading this you may be asking “what can I do to help?” The Fill a Purse for a Sister and Fill a Backpack for a Youth Campaigns are amazing ways that you can get involved and know that your efforts have gone directly to a person who needs it most. You can either fill a new or gently-used purse full of books, feminine hygiene products, coffee shop gift cards, make-up, shampoo and conditioner anything else that you think a woman may want to keep in her purse on a regular basis; or a backpack full of school supplies, toys, clothes, books and hygiene products for local youth who may not have the luxury of owning these items on their own. 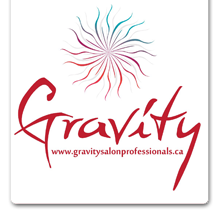 If you have any questions about the campaign, or other ways that you can help local community members in need, don’t hesitate to give us a call at the salon at 705-252-3992 or send us a Facebook message on the Gravity Salon Professionals Facebook page! We thank you for all of your support this far, and for your commitment to making a difference in our amazing community! Lindie Blackwell Takes Over Canadian Hairdresser Magazine! Gravity Heads to Montreal to “Train the Trainers”! Gravity Salon Professionals does NYC! 6 Moisturizing Products to Fight Winter Hair Damage! 10 Things That You Should Know About Barrie’s Best Salon! We Are Social… Join Us! Parking is available in front of and behind Gravity Salon and Spa.